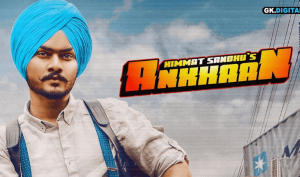 Ankhaan Lyrics – Himmat Sandhu: The Punjabi song Ankhaan is a new song sung by the singer Himmat Sandhu. The music has been composed by Desi Crew and the lyrics of this new Punjabi song has been penned by Gill Raunta. The song is out under Folk Rakaat label. LyricsTek is a website for New Hindi Song Lyrics, New Punjabi Songs, South Indian Song Lyrics and Bengali Song Lyrics.